Goldwell professional hair care products are formulated using the most innovative and advanced technologies to deliver the utmost consistent and vibrant results every single time. Developed to ideally complement the Goldwell colour system, all Goldwell shampoos, treatments, conditioners and styling/finishing products offer the absolute best in hair care, delivering fabulous results. 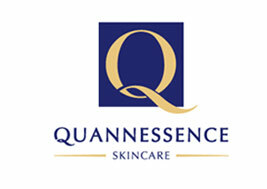 Quannessence Skin Care products are all natural and made right here in PEI . Based on medical principles and a holistic approach, their product line is formulated to facilitate corrective management of difficult or problem skin conditions. Nioxin helps provide thicker-looking hair and helps remove sebum (oil) and environmental residue from the scalp without damage. Most KMS products are preservative-free and are suitable for a vegan lifestyle.